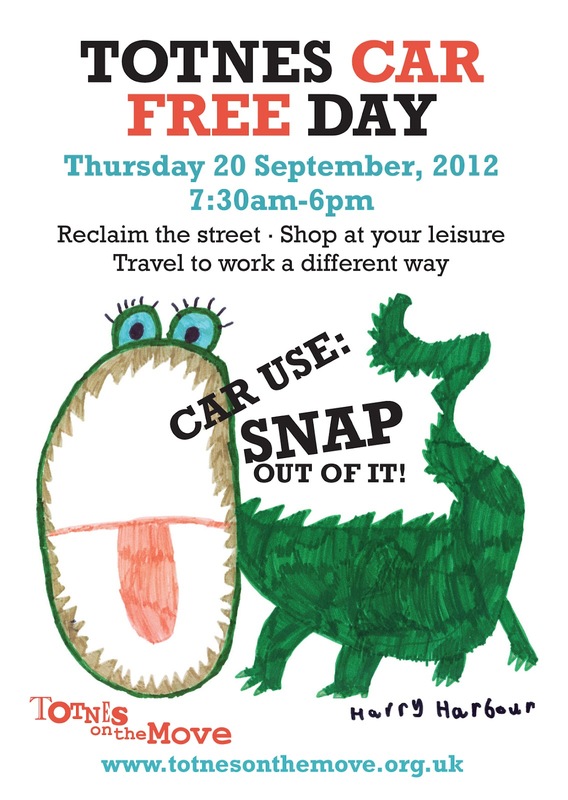 On September the 20th Totnes will be having a car free day and everyone is encoraged to travel in a different way. The road will be closed from Station Road to Castle Street from 11.30am until 6pm and before 11.30 only essential traffic will be allowed. The high street is a very narrow road with only small pavements. 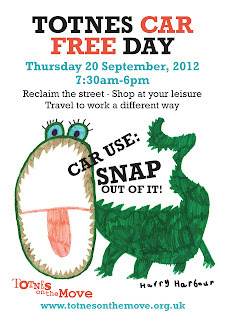 The road being closed to cars will make is easier to get around and browse the lovely shops that Totnes has to offer. The market will be running. There will also be loads of events through out the day including music, entertainment and a bike ride up the hill if you think you can hack it.